While this book was written with South Africa in mind, it's principles apply anywhere. Navigation is a skill which allows you to plot a course between two points on a map and to follow the best route between those two points along the ground. The ability to navigate accurately in all weather conditions is key to mountain and trail safety. 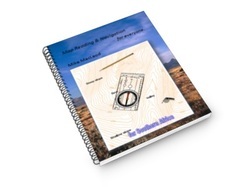 You need to have a thorough understanding of the basics of map reading and navigation before adventuring out into the wilds. Navigation in theory is not complicated, but in practice things are somewhat different. A number of practical considerations, to which the map sometimes provides no guidance, have to be taken into account. Lets go treasure hunting? Oops I don't know how to read a map or use a compass, how will I ever find buried treasure?